Below you will find tools that will assist you in teaching MCEE curriculum in the classroom. To recognize Mississippi schools who are effectively teaching students economic, financial and entrepreneurial skills. Selected schools will receive a Banner to display at their school designating the school as a Mississippi Banner School in Financial Readiness and administrators will be given the opportunity to award a $500 scholarship to ONE student who is achieving the highest success.Designations are for a two year period at which time a school may reapply. Schools receiving the designation will be recognized at the annual Forum on American Enterprise Luncheon in September 2019 in Jackson. Deadline to apply: May 31, 2019. Click below to view criteria and application. Choosing economics and personal finance curriculum materials for classroom use can be challenging. Do the lessons, videos and textbooks employ good pedagogical techniques? Is the economic and personal finance content accurate? Are the materials standards-based? Are they grade-level appropriate? The National Association of Economic Educators (NAEE) has created a set of evaluation rubrics that can help you select the best economics and personal finance curriculum materials for you school district, school, or classroom. These rubrics are free for you to download and use. They are aligned with the Council for Economic Education Voluntary National Standards in Economics and National Standards for Financial Literacy, and they were tested by educators from throughout the country. There’s also a glossary of economics and personal finance terms to help you judge content accuracy. Click here to access the rubrics. EconEdLink provides a premier source of classroom-tested, Internet-based economic and personal finance lesson materials for K-12 teachers and their students. With over 427 lessons to choose from, teachers can use as many of the lessons as they would like and as often as they would like. The Internet-based lessons are targeted for K-12 teachers and their students. Each of the lessons includes a teacher’s version as well as a student’s version. 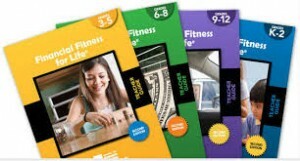 Each of the lessons are designed to be delivered in a variety of formats and classroom settings. All of the lessons are Internet-based and free to everyone. Each lesson contains a teacher’s version as well as a student’s version which can be used in a variety of ways. MCEE has programs that are designed specifically for after-school programs- Elementary, Middle and High School! For additional information on personal finance and entrepreneurship education resources please contact Selena Swartzfager at 601-974-1091 or swartsc@millsaps.edu. The prices on the flyer reflect training and resources for individuals employed by the after school program. If you would like to discuss the cost of bringing in an instructor to work with the students, we can have this conversation. Developed for middle school and high school students, this FREE online game gives your students the chance to learn important personal finance skills as they play and compete against fellow classmates. Now teachers can use Gen i Revolution to prepare their students for the w!se Financial Literacy Certification test; students who pass the test become Certified Financially LiterateTM (CFL)! 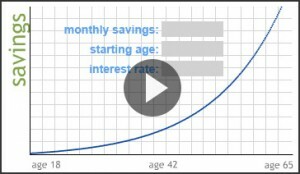 The Compound Interest Calculator visually shows students the dramatic affect that compounding can have on investments. This interactive can be used to supplement multiple lessons within the Learning, Earning and Investing publication. The lessons in this book are designed to take full advantage of the Council for Economic Education’s free online game, Gen i Revolution, however all the lessons are free-standing and may be used without the game. Click here to get your copy today! Content standards outline the skills and knowledge expected of students from grade to grade and subject to subject. In addition to the Mississippi College-and Career-Readiness Standards, the Mississippi Department of Education (MDE) has developed a wide variety of training materials for educators and administrators across the state, linked below. For more information related to the standards, please visit the following link. This program was developed in response to a growing interest in teaching students about personal finance through settings outside of the traditional school day. The program teaches young students about financial choices, cost‐benefit analysis for purchases, the role of an entrepreneur, and the economics and finances of their individual communities—all with a goal of helping children understand that saving is a good thing for us as individuals and as a nation. The program has two distinctive features that align with CEE’s delivery strategy of providing both content and pedagogy: a 12‐lesson manual and a training component for service providers. Watch the trailer and the full-length video here to learn more about this program. Access the curriculum at no cost here. Visit their website for more information and to sign up for a FREE teacher account. For more information and to sign up for FREE click here. $martPath is an engaging, interactive and easy-to-use way for teachers of grades 1-6 to embed relevant and fun economic and financial education in their classrooms. Best of all, $martPath is completely free! $martPath provides simple, fun lessons that bring economic and financial education to life in your classroom. $martPath units teach students about personal financial responsibility (such as saving, prudent spending, and prioritizing needs and wants) through grade-appropriate, curriculum-aligned, interactive lessons. SmartPath is a resource you can start using in your classroom TODAY! Download a FREE teacher manual here! Want to learn more? For a brief tutorial on using SmartPath watch the video below. Annually the MCEE chooses one teacher to be the Economics Teacher of the Year. 2019 applications are due by May 31, 2018. For more information and to enter a submission please review the application. What if you could find one tool that takes the grunt work out of lesson planning for economics and personal finance? As you know, looking for economics and personal finance lesson plans in your textbooks and online is a full time job on its own, and when you factor in that the lessons plans and activities have to jive with your students and correlate with the most up-to-date state content standards it’s almost an impossible task. So how should you approach this on-going and often hopeless search? Discover an all-in-one Flash Drive –Virtual Economics– your one-stop resource to print-based, web-based and multimedia resources. Version 4.5 contains over 1,400 activity-based lessons from more than 75 publications, 51 key economic concepts, and a glossary with over 500 terms. This ‘must-have’ resource provides all the tools you need to create engaging economic and personal finance lessons including a hands-on approach to teaching that is relevant to how students learn in today’s classroom. For the complete list of publications included, click here. More Flash Drive memory – now with an extra gig of memory, saving relevant lessons is a breeze. Automatic Lesson Updates – when connected to the Internet, your VE 4.5 search results will automatically be enhanced with new and updated lessons from CEE’s EconEdLink library. It’s seamless and is provided at no additional cost. Whether you’re looking for comprehensive lesson plans, quiz and test materials, or after-school interactive activities to challenge small groups of students, you will find resources that are easy to use and just a click away. Get your own copy of Virtual Economics today!